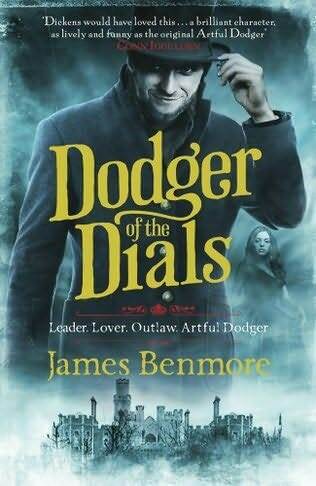 Dodger of the Dials is his second novel. Two years on from the events of Dodger, Jack Dawkins is back as top-sawyer with his own gang of petty thieves from Seven Dials. But crime in London has become a serious business – and when Jack needs protection he soon finds himself out of his depth and facing the gallows for murder. 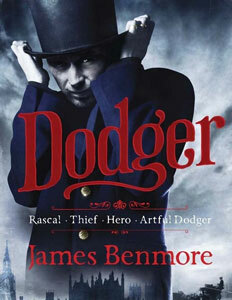 2013 saw in my (humble) opinion a very daring debut novel, in the form of James Benmore and Dodger ( Review ) . To take on writing the continuing saga of characters originally penned by Charles Dickens had a confidence that bordered either a deep love of the subject or insanity. Thankfully it was the former and for me the book was a real triumph. 2014 see’s the next step and probably the hardest one, i have heard from a fair few writers that the second book is the hardest, you need to make sure book one isn’t a flash in the pan, you need to grow as a writer, add everything you have learned and come up with a new interesting, credible second idea/ plot. Did he succeed? Well given i don’t review books i don’t like, damn right he did! But more than that, he did it in style. Dodger of the Dials blows its predecessor away, it retains the audacity of characters and brings even more of the original cast of Dickens Oliver Twist back to life. More importantly it brings growth to the cast, a development of Jack Dawkins (The artful Dodger) it brings Oliver twist himself back, an older grown up more mature Oliver Twist, the meeting of these two old acquaintances is something to behold, emotive, cathartic and inspired. There are many parts to this book, the crimes, the underworld, the gangs and their Sawyers (leaders), but the real triumph for me was the time spent in Newgate Prison. You could feel the age of the stone, the despair of the men due to hang, the desperation of the inmates. That tempered with the ever present devil may care always optimistic outlook of Jack gave s conflicting yet perfect synchronicity to the time spent there. I was taken from truly humorous moments to cuffing away a tear for the loss of a brave man (that’s me not giving away the plot) . How James Benmore has managed to mix Dickensian England and characters with a modern humour and outlook on the world and retain that feeling of the original is a marvel. 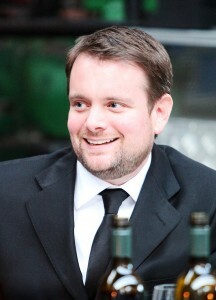 I wish him all speed to his pen for book three because i’m already desperate to get my hands on it.